To quote Paul Krugman: "The truth is that Europe’s self-styled technocrats are like medieval doctors who insisted on bleeding their patients — and when their treatment made the patients sicker, demanded even more bleeding. 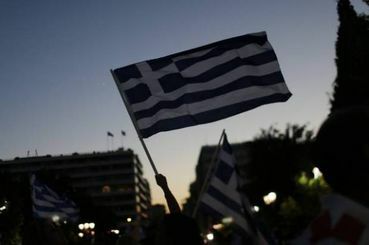 A “yes” vote in Greece would have condemned the country to years more of suffering under policies that haven’t worked and in fact, given the arithmetic, can’t work: austerity probably shrinks the economy faster than it reduces debt, so that all the suffering serves no purpose." Personally, I think who REALLY needs to answer are the banksters who got us into this mess in the first place. Iceland had the right idea on that one. Dianna M. says it all. Thanks.